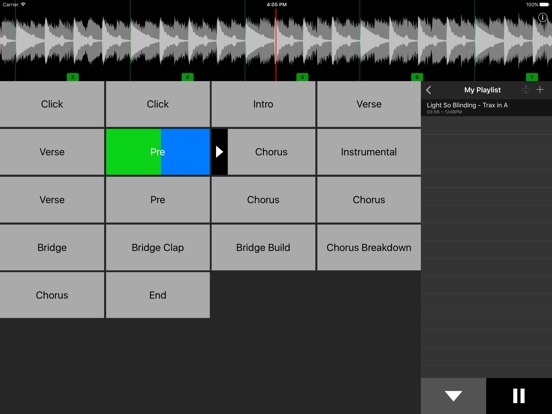 TRAX, a live performance backing track app from Marc Castles, got its first update since 2016! This is a beefy update too; with improvements across the board and iOS 12 fixes. • Allows seamless transitions between tracks. + more to come. Keep those suggestions coming! That app called Trax has been out for over 4 years and I can’t find any good demos. There is only a very quick one from the developer. There are also no reviews in the App Store. Strange for an app out for so long. It’s also not so cheap for an iPad app so you would think there would be something to show what it does in depth. A quick take is that it doesn’t do much. Maybe that’s why it’s not popular. Either it really doesn’t do much or it needs better marketing, like a few videos. In my feeble opinion, for the price, it should be more than minimal. Let’s see an in depth demo, especially with an update after so long so I can know exactly what I would be paying for. There is a free ad filled version, which is fine, but the depth of functionality is less than obvious.